Neighborhood School Expo. 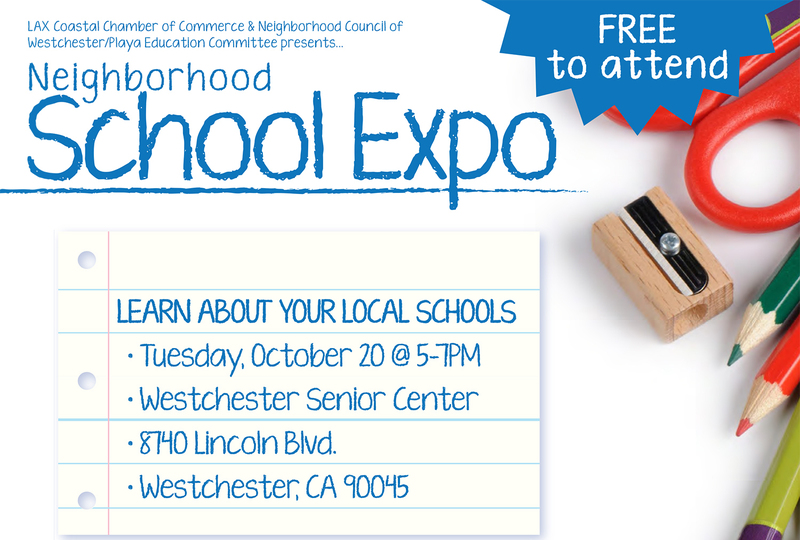 Join the LAX Coastal Chamber’s Education Committee for its second annual School Expo on Tuesday, October 20 from 5 to 7 p.m. The event will be held at the Westchester Senior Center, located at 8740 Lincoln Blvd. in Westchester. Attendees will have the opportunity to learn about the different school options available in the community; the difference between public, private, charter, magnet and parochial schools and have the ability to speak one-on-one with education administrators. Local area schools have been invited to have booths at the event to meet with attendees. For more information, please call the chamber at (310) 645-5151. Neighborhood Council Hosts Westside Public School Education Event. 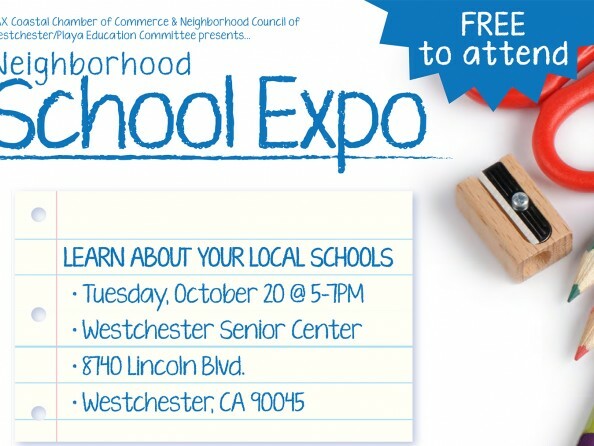 The Neighborhood Council of Westchester/Playa’s Education Committee will hold its first ever Westside Public School Education event to give community members the opportunity to hear from elected officials about their vision and plans for strengthening the local public school system. The event will take place on Monday, October 26 from 6:30 to 8 p.m. at the Wright Middle School STEAM Magnet auditorium, located at 6550 W. 80th St. in Westchester. As of press time, LAUSD school board president, Steve Zimmer, is confirmed to appear and other elected officials and education representatives have been invited to attend. Have something to share about your school? Please email us at westchesterhometown@yahoo.com.